Thousands of teachers around the world use Pink Cat Studio products to make learning fun. Pink Cat Studio makes interactive games, math and language activities, classroom management products and classroom decor. Started in 2012, Pink Cat Studio has over one thousand engaging and differentiated activities for students at the elementary level. 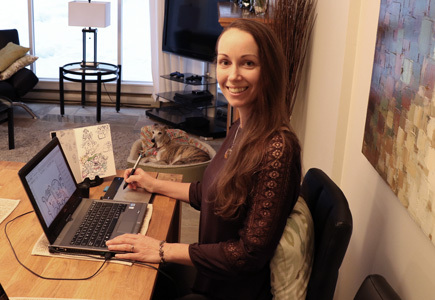 Melissa is an illustrator, software engineer, and the founder of Pink Cat Studio. She is especially interested in the advancement of technology in the classroom and loves to come up with new digital activities to help make subject review more fun for both students and teachers. We love to hear your feedback and suggestions! Get freebies, contest announcements, savings and more! 2019 © Pink Cat Studio Inc. All Rights Reserved.